There is no shortage of options to choose from when it comes to selecting a ferry from Samos to Aegean Islands. There are 2 ferry companies with a combined offering of 15 Ferry Routes connecting Pythagorio to Fournoi & Agios Kirikos, Karlovassi to Chios, Fournoi, Vathi, Agios Kirikos, Evdilos, Limnos (Myrina) & Mytilene, Vathi to Chios, Mytilene, Limnos (Myrina), Agios Kirikos, Evdilos & Fournoi, Karlovassi to Chios, Fournoi, Vathi, Agios Kirikos, Evdilos, Limnos (Myrina) & Mytilene, Vathi to Chios, Mytilene, Limnos (Myrina), Agios Kirikos, Evdilos & Fournoi & Karlovassi to Chios, Fournoi, Vathi, Agios Kirikos, Evdilos, Limnos (Myrina) & Mytilene. 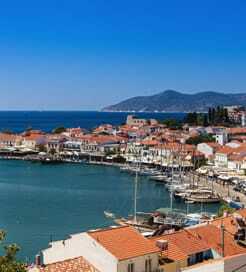 The fastest route between Samos and Aegean Islands is Pythagorio to Fournoi with a crossing duration of around 50 minutes. With so many routes on offer we make it simple by comparing all similar routes in one search so you can quickly find what you are looking for. The Aegean Islands are a group of islands in the Aegean Sea, most of which belong to Greece with the remainder belonging to Turkey. Located between the south and east side of the Greek mainland and to the west of Turkey, the Aegean Islands consist of seven groups, namely the north eastern Aegean Islands, Sporades, Euboea, Argosaronic Islands, Cyclades, Dodecanese and Crete. Islands in the Aegean Sea feature crystal blue waters, hot springs, fortress villages, rich history, delicious seafood and some of the most beautiful beaches in Greece. 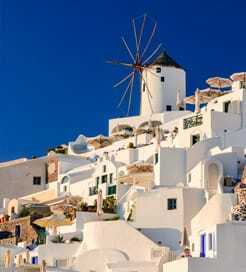 The Aegean Islands will no doubt offer those who visit the region a memorable and authentic experience. Like most island groups, travelling by ferry is the most popular and in many cases the only way to get in and to travel around and the region is served by numerous ferry companies connecting the vast number of ports.